Yesterday I went out on ride, determined to get to Woodstock from where I live. In the past, I have driven to Woodstock, and have ridden my bike up close to Woodstock, but never actually made it into the small, quirky town in upstate New York, where time seems to have stopped in 1969. I actually wrote yesterday about this trip, so I will not be redundant about my navigation skills. 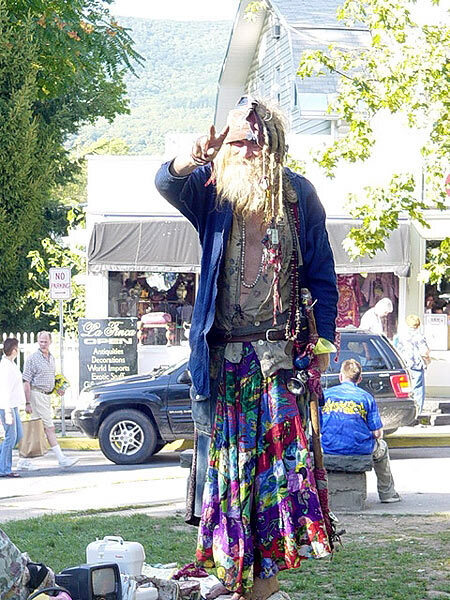 But eventually, I found my way to Woodstock, New York, where shops are cluttered with old black and white photographs of famous musicians from the ’60’s, tie-dyed shirts flutter in the wind, and people sit on the corner shirtless and play the drums once a day. I set out for a goal, and that was to get to Woodstock. There’s some great riding up there in the Catskills if you like lots of hills. But after being lost in Saugerties (I know, who gets lost in such a small town? ), riding in 95 degree heat and the sun blazing down on you, I was not to thrilled about these rolling hills. And for some reason, the shade from the trees was on the other side of the road that I was riding on. Despite my silent groans, I wanted to get to Woodstock…Not only to sit and people watch for a bit, which is an activity I often do when I go to that town…But more importantly, so that I could get some coffee. Iced Coffee. 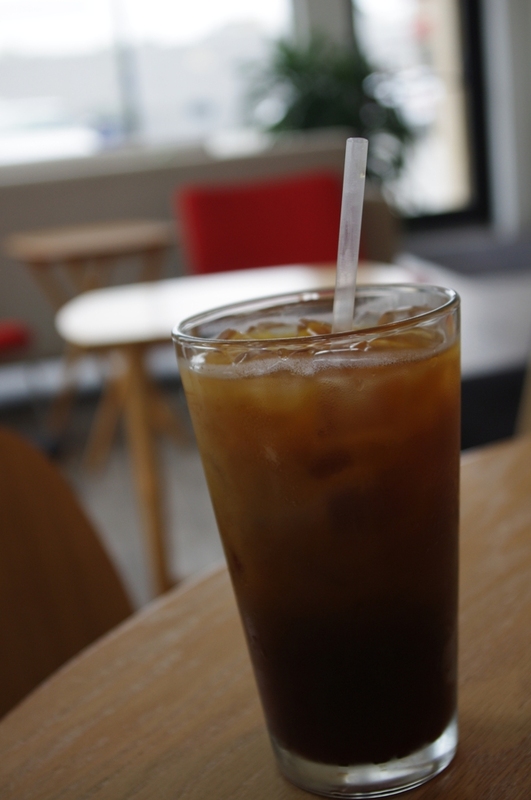 Ahh, after I don’t know how long of going up and down and dehydration and getting lost, I made it, and rode right up to Bread Alone Bakery for that glorious, burnt sepia colored liquid gold–aka Iced Coffee. As a rule, I always carry a couple of dollars whenever I go riding incase something happens (and $2 will magically fix everything, ofcourse), and when I entered the town, my two wrinkled, sweat-soaked dollar bills were taken out from their hiding place under the sole of my shoe and used to buy this beverage. God bless the barista for accepting my drenched dough. If you are in Woodstock, NY, Bread Alone has some pretty tasty Iced Coffee. After adding just enough soy milk to raise the coffee to the brim of the plastic cup, swirling the liquid with my straw, I took it and went outside to sit on the curb (I would have sat inside in some air conditioning, but was afraid someone would steal my bike) and enjoy my “emergency” beverage for a few minutes. Two gulps later, ice cubes remained in the bottom of the cup, and I had a brain freeze from chugging the cold liquid. I guess my attempt to savor one of the best beverages ever known to man went down the drain with my thirst. Alas, the sharp pain to my brain was totally worth it.